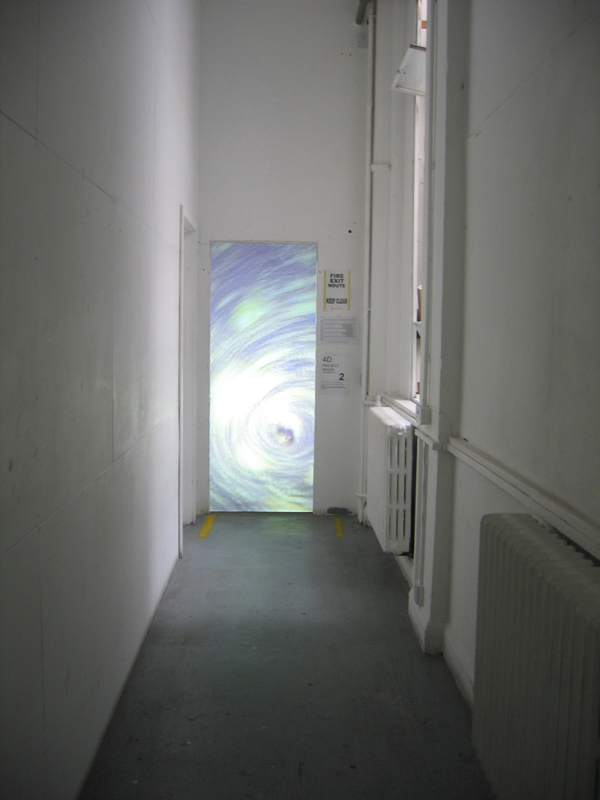 A swirling blue and gold nexus is seen at the end of the corridor. Entering the room beyond the phenomenon reveals its mechanism of action, shattering the illusion. References Einstein-Rosen Bridges and time travel.